The footpath starts from Frasco near the church (885 m) along a paved county road through the village of Scimarmota, where an easy path in the forest continues on the right bank of the small river of Efra to the Monti Montada (m 1196). Left behind of the mountain you climb up the mountain side, partly through the woods, to reach a total of two hours and a half to the (1686) Alpe Efra. 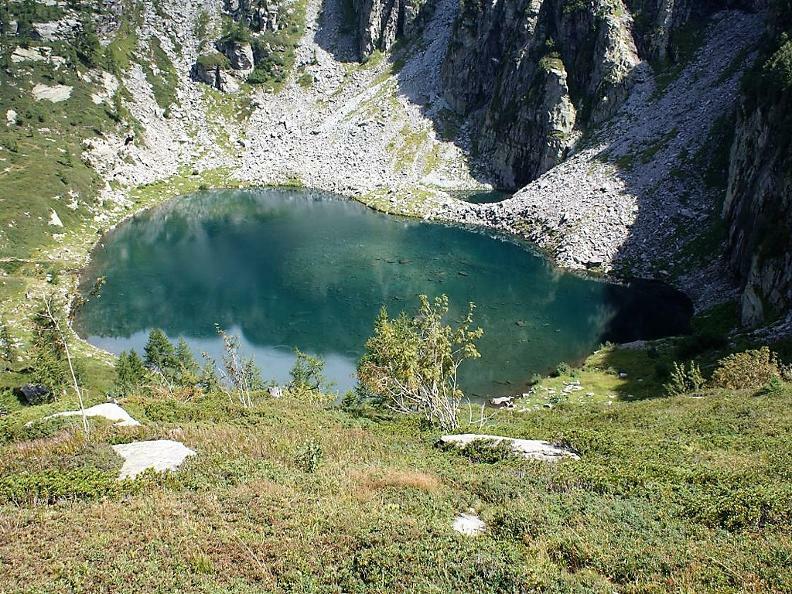 Continue for half an hour in the coast along a scenic trail in the direction of S through the pastures to lake Efra (m 1836). 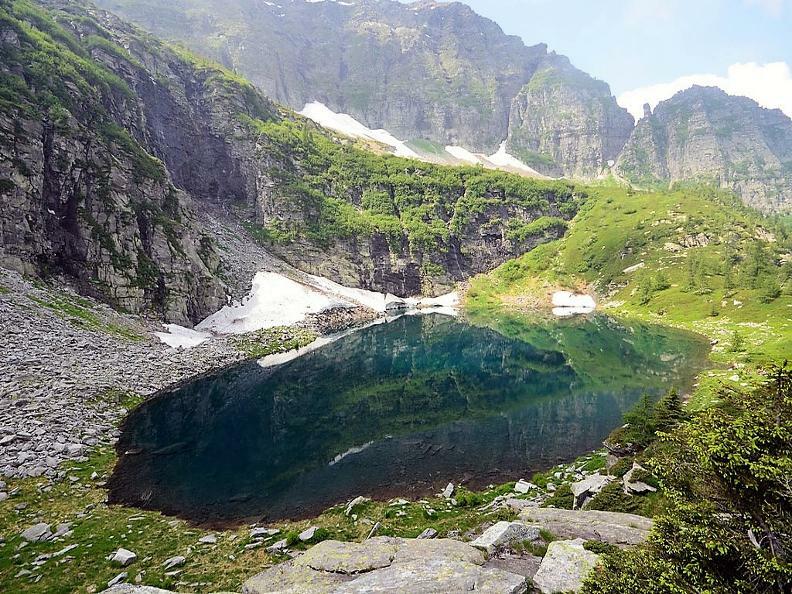 The lake is positioned in an attractive hollow, sheltered by the mountain and is delimited by larch trees and alpine roses. 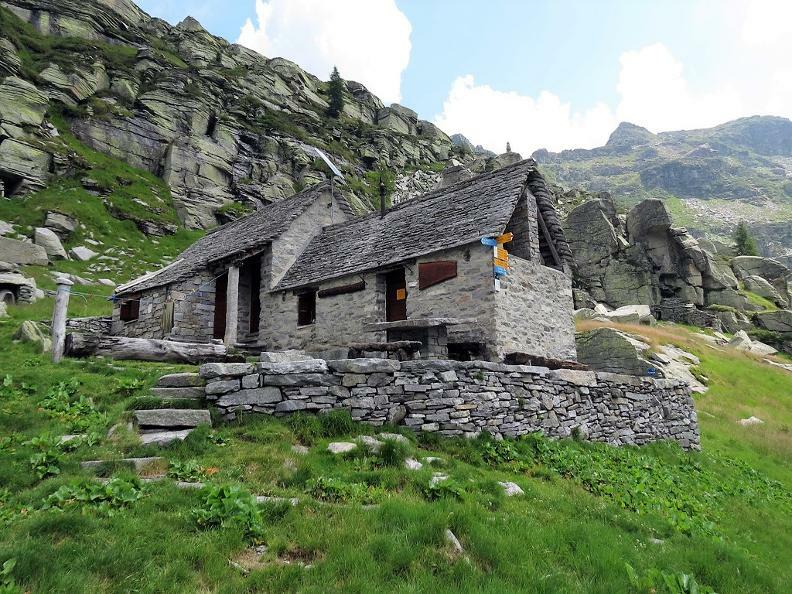 From here to reach the Efra Refuge (m 2039) lean towards NE pastures and stone up to the Court of Cima where is located the shelter, owned by the Company Verzaschese Trekking, that can be reached in another half an hour from the lake.